Despite the down days this week, we are still in the longest-lived bull market since the one from October 1990 to March 2000. We’ve been fielding media requests like “Should investors be bracing for the drop?” Main Street investors are worried about the “aging” bull market…just as they did last year, and the year before that. We can’t predict when a true correction (a drop of 10% or more) will occur. No one can. But we do know that new highs, like those we experienced recently in large-cap equities, are a normal and expected part of being an investor—not a reason to panic. 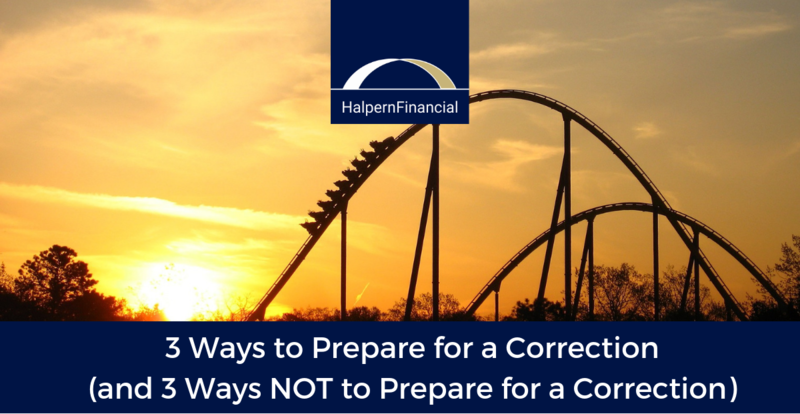 Corrections are also a completely normal and expected part of being an investor—not a reason to panic. We are always careful to prepare for the unexpected via diversification, rebalancing and consistently monitoring securities used for optimal allocations—but we are not making any drastic changes. So far in 2018, the S&P 500 has reached 5 new all-time highs and the Dow has reached 13 new all-time highs. In 2017, the S&P 500 reached 8 new all-time highs and the Dow reached 71. Of course, a correction could happen any day, just as a market increase could happen any day. We had two corrections in 2016, and have already experienced one this year (in February). Regardless of what the future holds, it pays to be proactive and plan for a wide variety of market scenarios. Volatility is a certainty in this uncertain world, but the U.S. markets seem to handle these gyrations with much greater efficiency than ever before. Here are some tips that will serve you well in both rising and falling markets. Just take a look at what was in the Dow Jones Industrial Average before 2008 versus now. Eight of the components have changed, over 25% of an index representing the blue-chip companies of the U.S.
DON’T pick winners and losers. DON’T expose yourself to undue risk. Often the people most fearful of a downturn are those who have too much risk in the portfolio for their age and goals. A downturn would be devastating to these people because they lack the time needed to recover from a loss. If you need a certain amount of money for short-term living expenses (1-3 years), these funds should not be exposed to the stock market. Longer-term money can afford a little more risk. For our clients approaching retirement, the Retirement Income Security Report details a sustainable funding plan, keeping this principle in mind. It involves segregating dollars based on purpose, and allocating the balances appropriately for each purpose. DO invest for the long term. If you sell during a downturn, it is all too easy to miss the right opportunity to get back into the market. Six of the best 10 days between 1998-2017 occurred within two weeks of the 10 worst days. The best day of 2015 was only 2 days after the worst day. What are the chances you would completely regain confidence in just two days? Jumping in and out of the market when you are fearful in the short term only locks in your losses for the long term. DO control what is within your control. You cannot control market performance, but there are a number of things you can control to stack the investment deck in your favor. 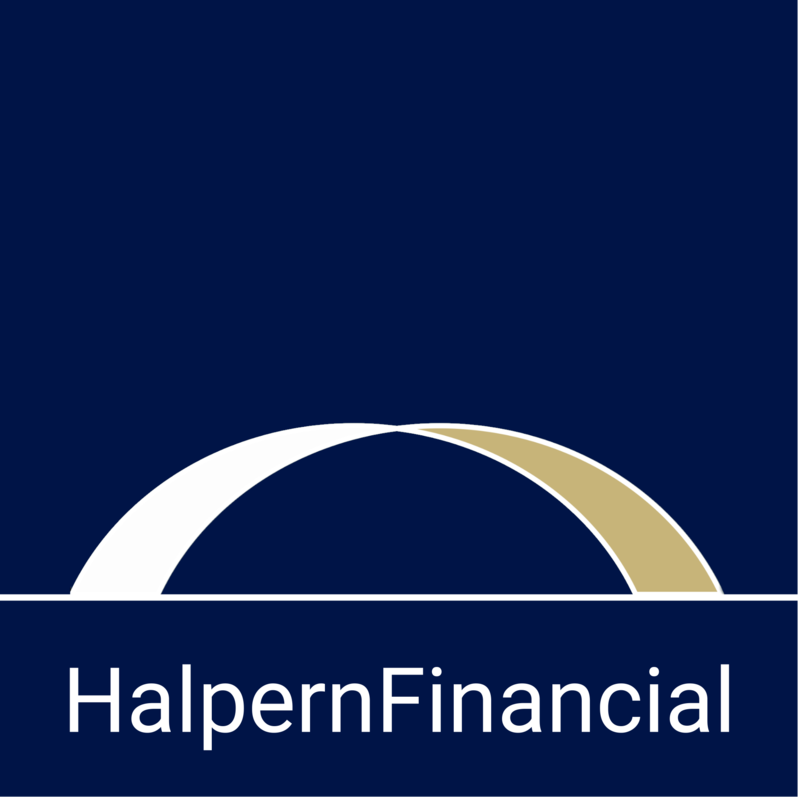 Avoid investment commissions, keep portfolio expenses to low institutional levels, use tax efficient strategies, and hold the proper types of assets in the proper types of accounts. 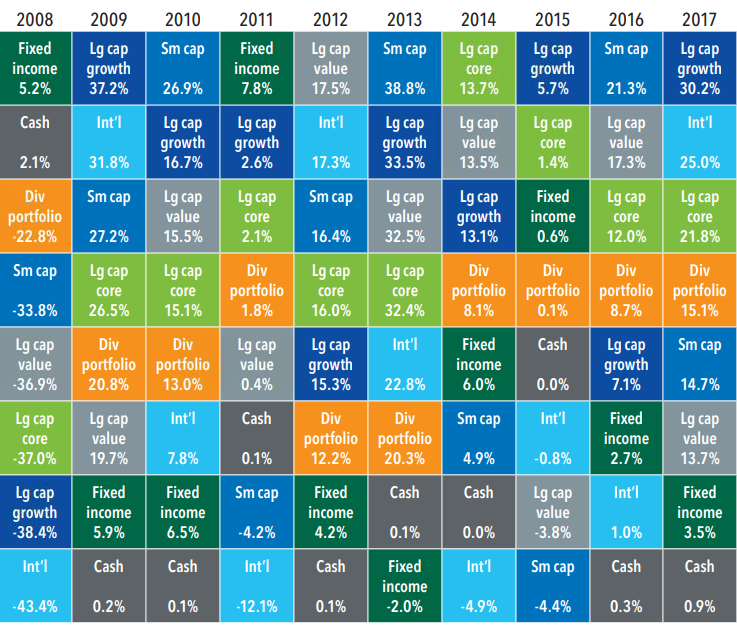 And remember--"the market" is not the same thing as "your portfolio." Saving on a regular basis is another way to be proactive (and automatically increase your “return”!). This includes maxing out your tax-deferred retirement contributions, as well as contributing to after-tax accounts. Both contribute to your future security. Some investors worry about buying at the “top of the market.” However, we cannot know what tomorrow will bring. We always try to allocate new savings in the most advantageous way (for example, buying more undervalued areas). It is never a bad day to invest in your future wealth! As we enter the final quarter of 2018, the final three months will bring another rate hike, a mid-term election and plenty of corporate and economic year-end data.Each of these can move markets one way or another. During periods of louder news cycles and the potential for heightened volatility it is critical to remember, money moves without the emotion we all feel. Prudent investors can always find a path for success in the long-run.